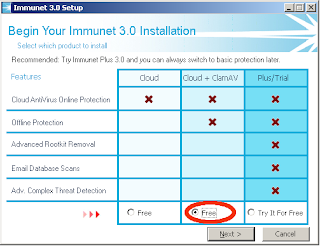 One of the major features in Immunet 3.0 powered by ClamAV is the integration of the full ClamAV engine for "offline protection, advanced archive and unpacking support, and custom signature creation". What does that mean though? First of all it means that when you are not connected to the cloud then you are protected by the locally installed ClamAV engine. 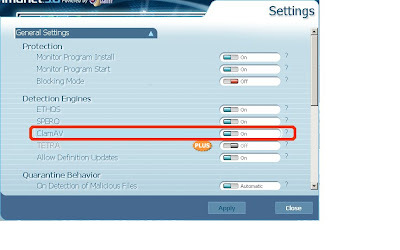 What may not be clear from that feature description is that ClamAV is also used when you are online, and it is used for realtime protection (on-access scanning) too! Is the ClamAV engine enabled by default in Immunet 3.0? 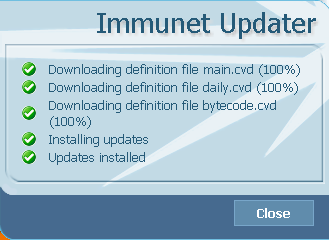 Download the Immunet 3.0 powered by ClamAV installer from here, and run it. You can open the folder you tried to save the file in, and check that it is really gone. 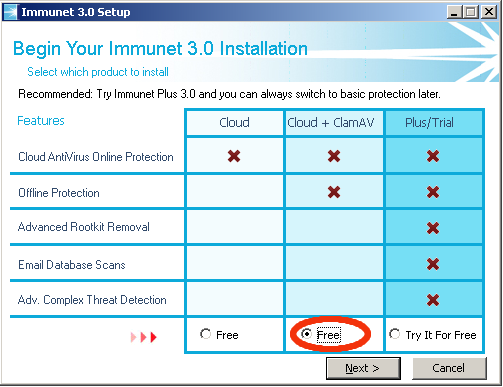 Now you should be confident that you are protected by ClamAV's engine in "Immunet 3.0 powered by ClamAV". works together with the cloud read on. 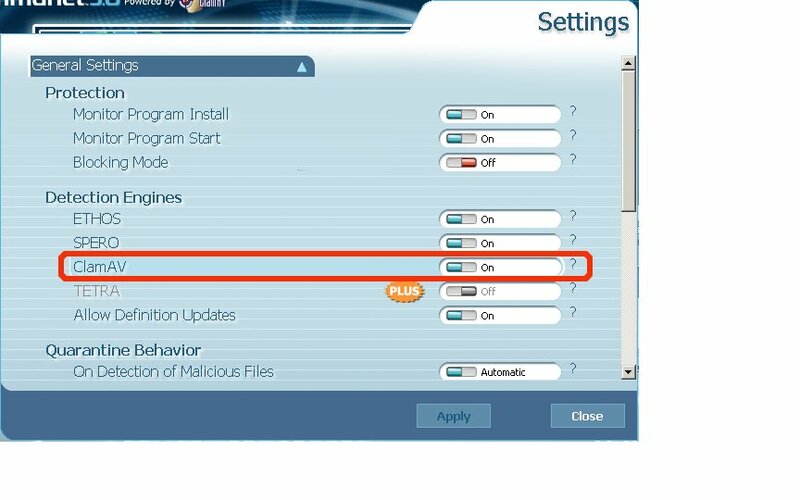 For a file to be considered malicious it is enough that just one engine considers it as such. For it to be considered clean both must consider it clean. 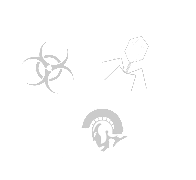 If a malware is detected the file is quarantined, and the malicious process is blocked, prevented from execution. So you see when you have both the cloud and ClamAV enabled it performs a more thorough scan than when scanning with both individually. 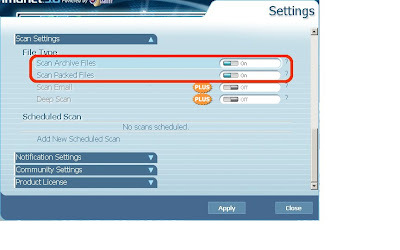 What if a file is detected by both the cloud and the local ClamAV engine? Currently the detection from the cloud wins, but that may change as we work on optimizing the integration of the engine. Also just because you see a cloud detection, it doesn't mean the local engine wouldn't have detected it.